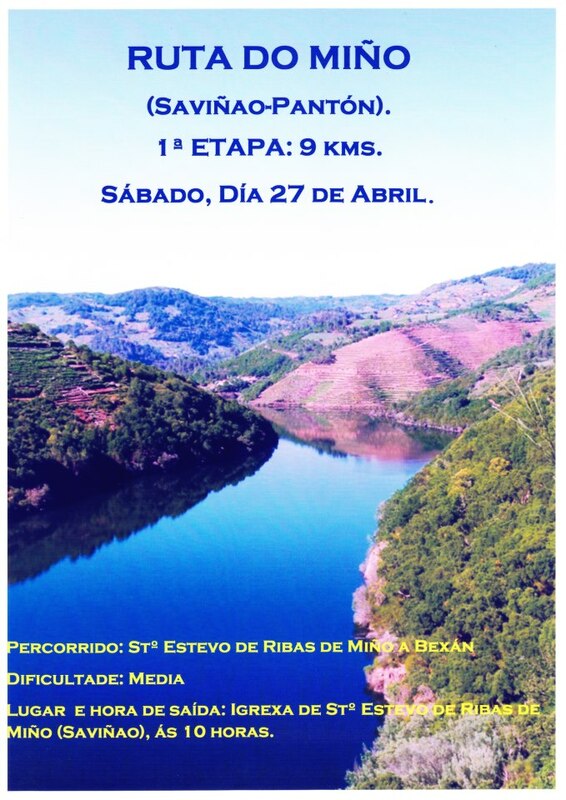 Ruta Do Mino – 9 km Camino by the River Mino! The Camino inspires one to want to WALK, WALK and WALK some more!!! It is especially fun when you combine nature, friends and a new adventure! There are many special routes highlighting different aspects of Galicia’s beautiful scenery, nature, wildlife and outdoor activities. The spanish love to be outside and this is especially true for people in Galicia. After a long and rainy winter what better than to spend a day outside enjoying a camino adventure! This saturday people will gather together and participate in a day of the Ruta de Mino walking 9 km beginning at the Church of Santo Estevo. A perfect setting combining mountains, valleys and the River Mino. A fun day for all! This entry was posted in Camino Travel Tips and tagged culture, nature, outdoors. Bookmark the permalink.